Aerodynamics and Human Powered Vehicles. Why? 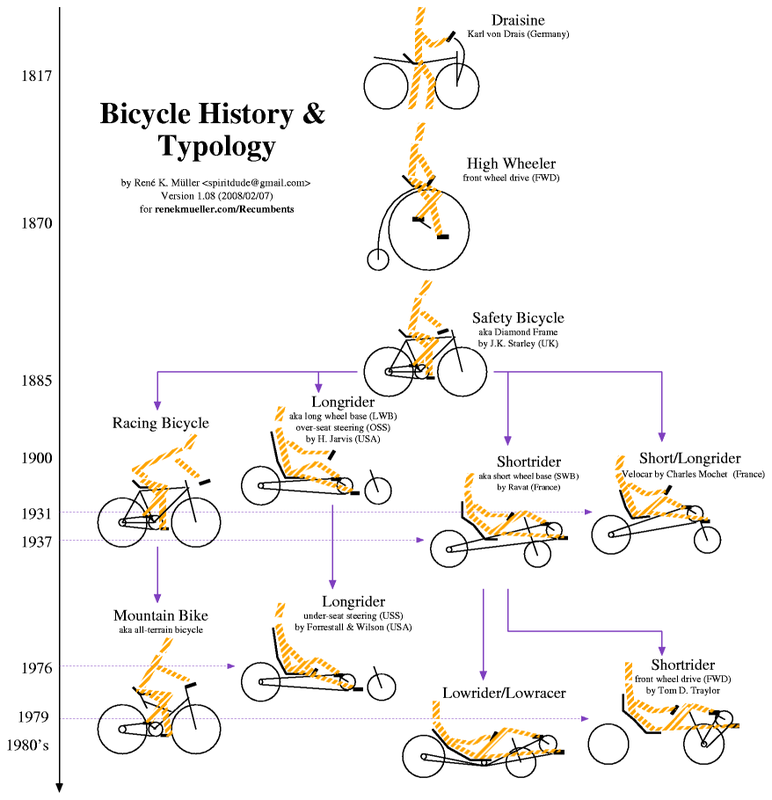 – – Why should anyone be interested in “recreational” bicycle aerodynamics. Well does “allowing you to go faster without using more energy” sound appealing? I find it interesting that “aerodynamic” products are rarely researched further to make it the best it can be. Aero Wing products are developed by this rider/inventer that continually uses the product for personal use. A mediocre performance simply is not good enough. Aero Wing performance products are developed with practicality of daily use in mind as well as having a need for “easier speed”. Everytime I go for a bike ride, I’m always looking for refinement of Aero Wing products. So “how much” can one expect using aerodynamics? Here is an example of comparative figures to help with those of you that wonder about “how much” benfit is expected by use of aerodynamics. Let us set the stage first with an un-scientific example “me”. By using what I call the “comfort zone” a speed the rider can hold comfortably all day. 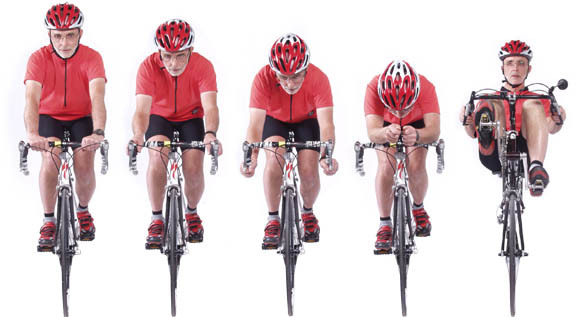 As you review the results notice how the average speed moves up the mph scale significantly when aerodynamics is applied. Velomobiles like the – Mango – Strada – Quest – Milan all carry a “comfort zone speeds” of (28/30 mph) with open canopy – 32/34 mph canopy closed. Real time data from me driving behind, along side of these machines for nine days supporting Roll Over AMerica “ROAM” in 2011. Keep in mind regarding the data listed above are “Comfort Zone” speeds for me – not racing speeds. I may be a competetor – but I am not a proclaimed racer. 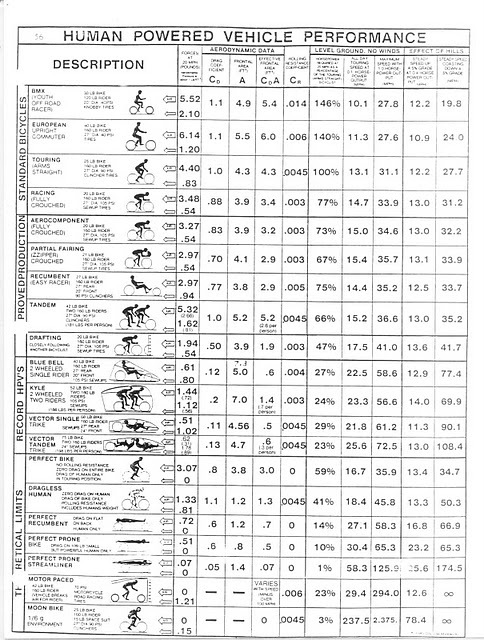 The chart below pretty much says it all by comparing the aerodynamic drag differences of human powered vehicles. Sorry for the poor resolution of the chart. Notice the Easy Racer listed as .005 @ 75% compared to a fully crouched time trails postion of an upright rider.003 @ 73%. I concur these figures from years of riding an Easy Racer GRR. What is not mentioned “and should be” are the numbers “that are not” on this chart demonstrating what happens when a Easy Racer is fairied. The Easy Racer platform is designed to be faired. When a Easy Racer GRR is in an aerodynamic Body Sock configuration, it has the same .003 @ 47% coefficent “solo” where as it takes a paceline of four upright riders trading pulls to have the same numbers. So the Socked GRR has a pace line speed all by it’s self plus a comfortable body position. Hmm – says something for the power of aerodynamics. Also confirms – “allowing you to go faster without using more energy” statement at the top of the page. I have a GRR that is socked and I don’t feel like I get all of the benefits. Where did you get the frame that took the sock off of your shoulders? My next question is about the sock, I think a lower coverage would help. My sock goes to the bottom of my seat. I would like for it to go lower by about 3 to 5 inches for warmth in the winter and added aero advantage. What do you think? Thanks for your blog and any information that you can help me with. I too had same feelings after riding a Body Socked GRR for a while – enough so that I called the infamous Gardner Martin founder of Easy Racers for a chat. We discussed the many variable configurations he had tried with the Easy Racers Body Sock before taking it to the public. Your interest with lower Body Sock coverage for weather and enhanced streamlining is logical. However – there are a couple of known issues to be aware of, that being “excessive fabric flutter” hence losing the aero efficiency of the sock and secondly, the Body Sock getting caught up in the shoe rotation while riding in a firm cross wind. I resorted by fastening the sock under the seat edge to control the excessive flutter of the body sock. It did work but I did not care for the extra hassle for entry/egress – and – it did not do anything good for the over all streamlining package. Yes, you do get more weather protection “but” I could not feel any improvement of streamlining performance for the season. A few years ago, I came across a You Tube clip featuring a man in the Tulsa Okla. area that used an additional fairing as a tub under his GRR. It was a very nicely done project. A larger modified body sock attached to a trimmed and shaped tub edge. It looked much like an Easy Racer version of the infamous Lightning F-40. My experience riding along side the F-40’s was quite a revelation. Having the bottom part of the recumbent bike closed up enters one entirely into another realm of aerodynamics. Plan A “not” The reason I did not close up the bottom on mine was for the following reasons. Yes – the GRR has a lot of parasite drag with low frame tubes/kickstand exposed to the air below the fairing and hem line of the sock however – with that said – the GRR is a much better bike to handle in the cross winds as a result of being a “semi” streamlined open bottom platform. Think about it for a moment – we ride in cross winds most of the time – so – yes, we endure the crosswind parasitic drag most of the time – however – it is a much safer platform to hold a straight line in traffic. It was good for me to see the F-40’s ride in the gusty wind that day. They had their hands full to say the least. I then knew I was not going to complain about the open bottom on my GRR any more. I will accept the compromise for safety. Plan B – what I did find that worked well was to design a tail frame that eliminates the “un-streamlined” bumps of the riders’ shoulders that aggressively trip airflow and then again damn it at the tail pylon. Gardner had shared with me variable measurements he found for tail frame efficiency. What I’m talking about here is the distance from tail frame point to the back of head/shoulders”. This measurement will vary pending the width/size of each individual rider. I ask why the Easy Racers tail frames were not that length. His response – mainly, it would be too inconvenient of size for the average consumer to handle their bike and a number of other understandable issues. So – with his blessings I proto typed a tail frame to clean the lines up from the fairing edge to the tip of the tail frame. It did make a noticeable improvement. Percentages of improvement have been significant for some riders. Actually, some are better than my own ride. I love riding along side of these riders for updated R&D. Another attribute was the tail sock immediately started catching the random crosswinds to push me along much like wind tacking a sailboat. Unfortunately, I did experience the cumbersome handling of the extra long tail frame. After two more years of R&D, a newer shape/size retains the preferred performance characteristics with out the hassle of an excessive long tail frame. I now know what Gardner was speaking of when new technology provides “the gift” of more performance; the usual compromise has to come before it can be retailed. After 10 year’s of R&D – the Aero Wing tail frame it is ready for the consumer. Notice – there is no website – just this blog. Each tail frame is custom build for the individual rider size to receive maximum performance. Hope this data helps concerning your questions.